Defence Minister Manohar Parrikar on Thursday said that all Indians including those who have raised doubts can share credit for the surgical strikes as it was done by the armed forces and not by any political party. 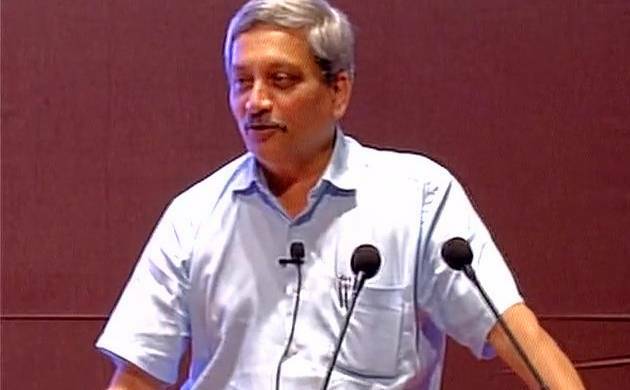 As major political opposition parties continue to criticize the ruling central government for giving itself undue credit and taking ownership over the recently conducted surgical strikes by the Indian Army, Defence Minister Manohar Parrikar on Thursday said all Indians including those who have raised doubts can share credit for the operation as it was done by the armed forces and not by any political party. At the same time, he laid emphasis on the fact that a large share of credit does go to Prime Minister Narendra Modi and the government for decision-making and planning. "I don't mind sharing the credit, including on surgical strike, with every countryman because it is done by our armed forces and not by any political party. So all Indians, including, those doubting it also, can share the credit," he said at a function here. He said sharing of credit will settle the nerves of many. The Minister said he understands the sentiments of thepeople and they are satisfied now. Several political leaders and parties have questioned thesurgical strike and have sought proof. The Congress, whileofficially supporting the government over the strike, has alsosaid that similar operations were undertaken during itstenure also.